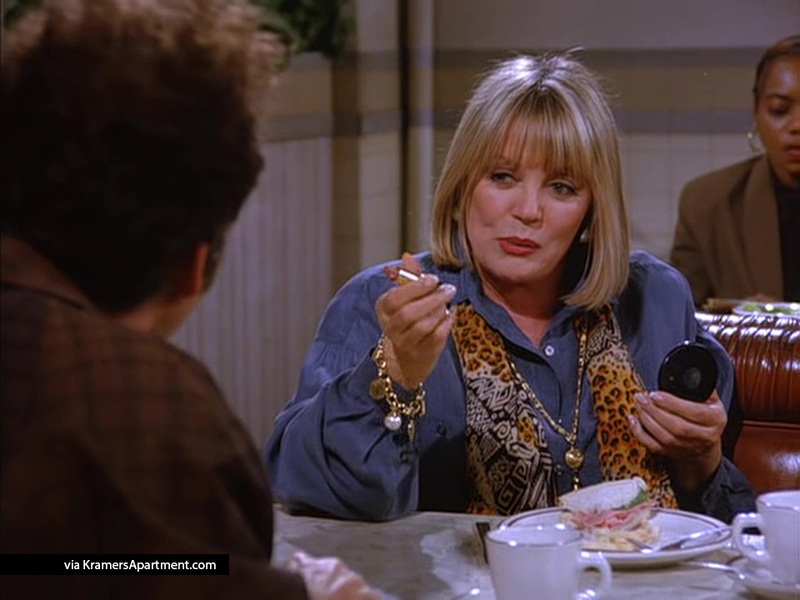 Babs Kramer, Cosmo Kramer’s mother is mentioned in the episodes ‘The Nose Job’, ‘The Jacket’, and ‘The Keys’, but is not seen for the first time until the episode ‘The Switch’. 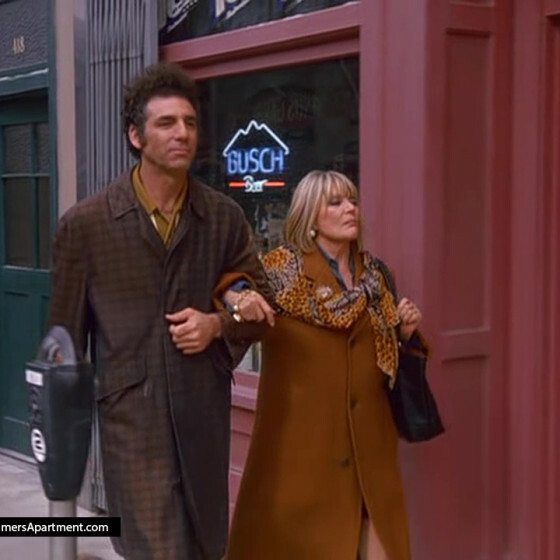 In early episodes it is revealed that Babs and Kramer had a rocky relationship and Kramer hadn’t talked to his mother in five years. Babs was played by Sheree North. 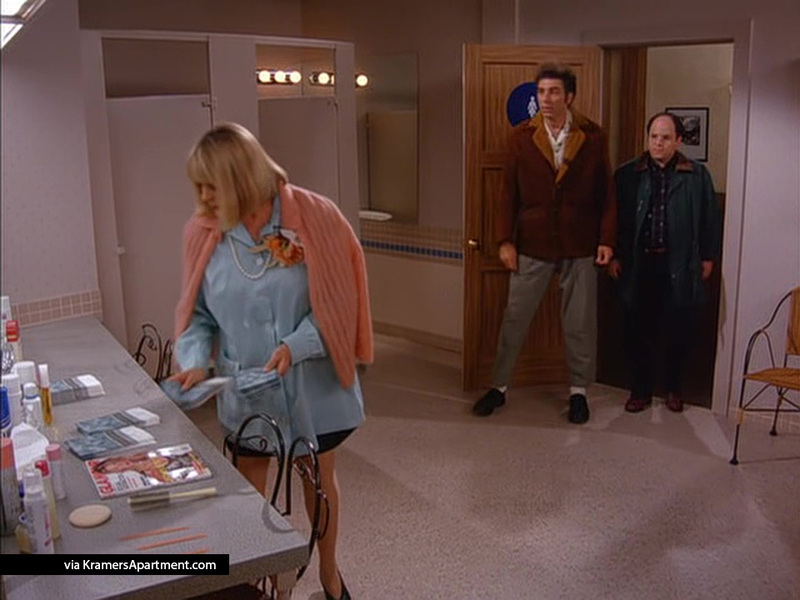 When George believe that his girlfriend is bulimic, he enlists the help of Kramer’s mother who works as a matron in a restaurant bathroom. 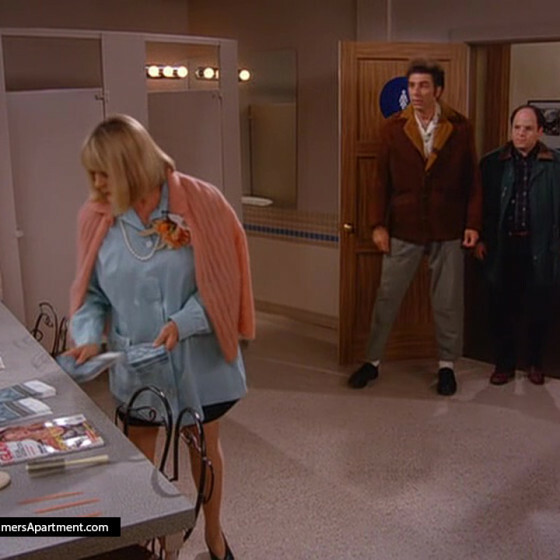 George gets Babs to wait for his girlfriend to go to the bathroom to see if she is bulimic, but Kramer convinces her to quit, which she does. 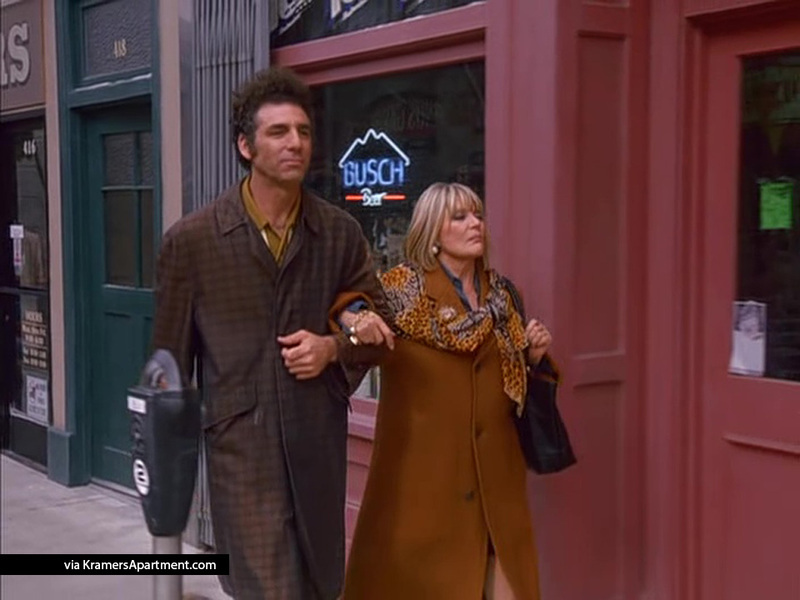 During the episode Babs reveals that Kramer’s first name is Cosmo, which George happily shares with the rest of the group. 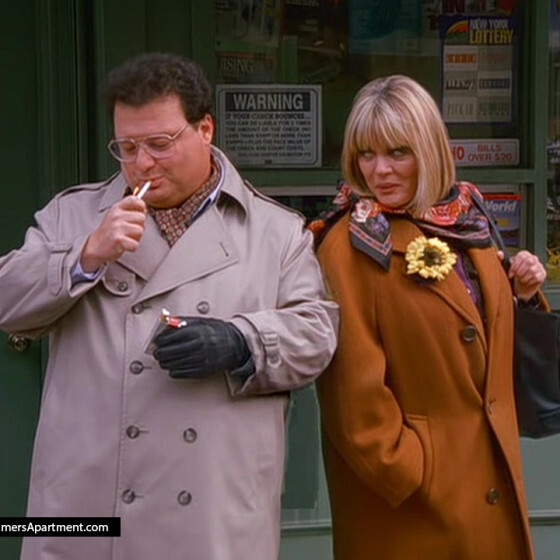 Babs also gets involved romantically with Newman. 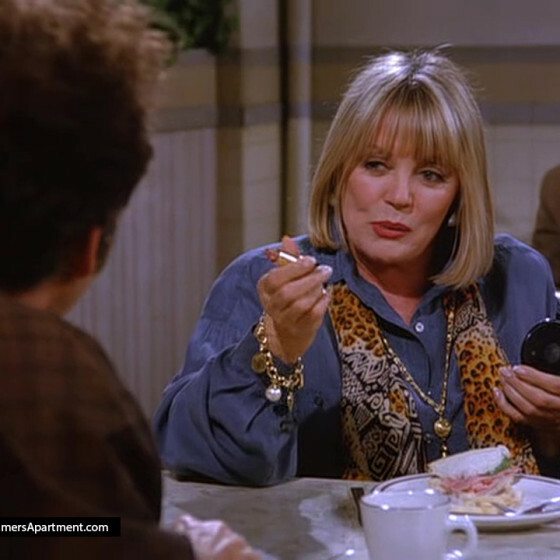 Babs Kramer also appears in the trial scene of the final episode of the series. Kramer: You ma, know I’ve been thinking. I want you to quit that matron job. Babs: Yes, well isn’t that just easy for you to say. What the hell do you think I’m going to do with myself? 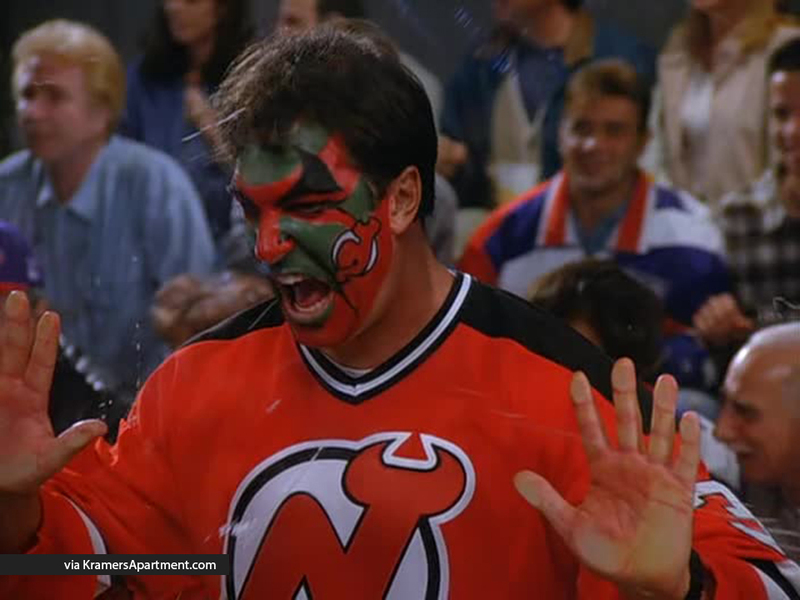 Kramer: Well maybe we could go into business together. If you’re clean? Babs: I’ve been clean for two years. Anyway what would we do together? 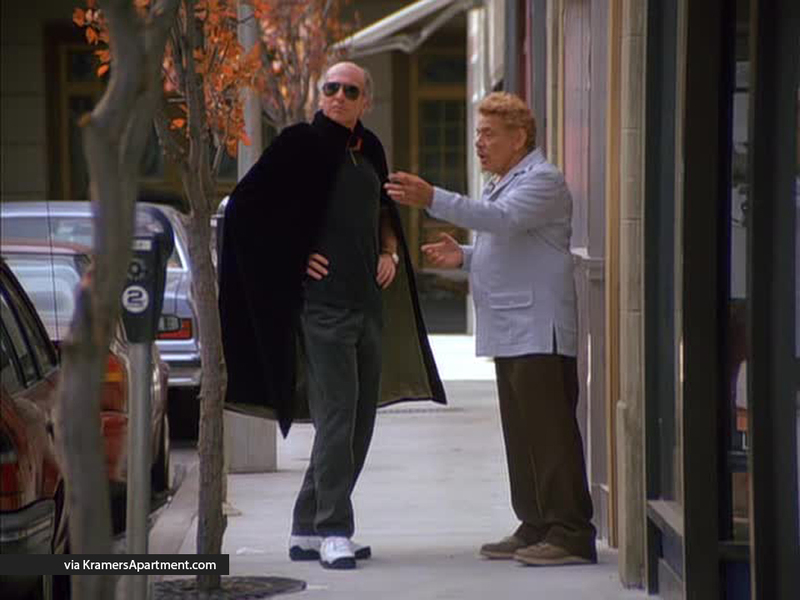 Kramer: I’ve got plenty of ideas. Babs: I’ve always believed in you Cosmo. You know that. So I want you to call that place today and tell then tha you’re through. 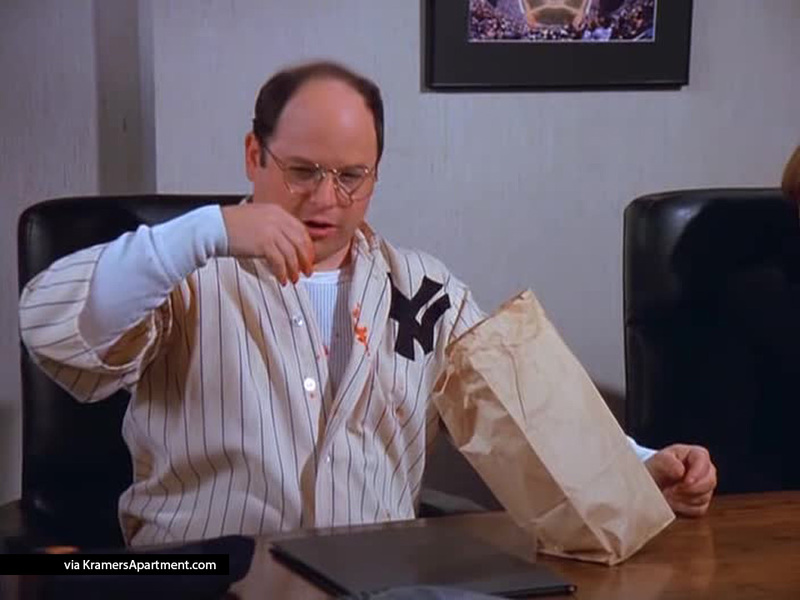 Newman: Minding my own business. Babs: You’ll never get into trouble that way. 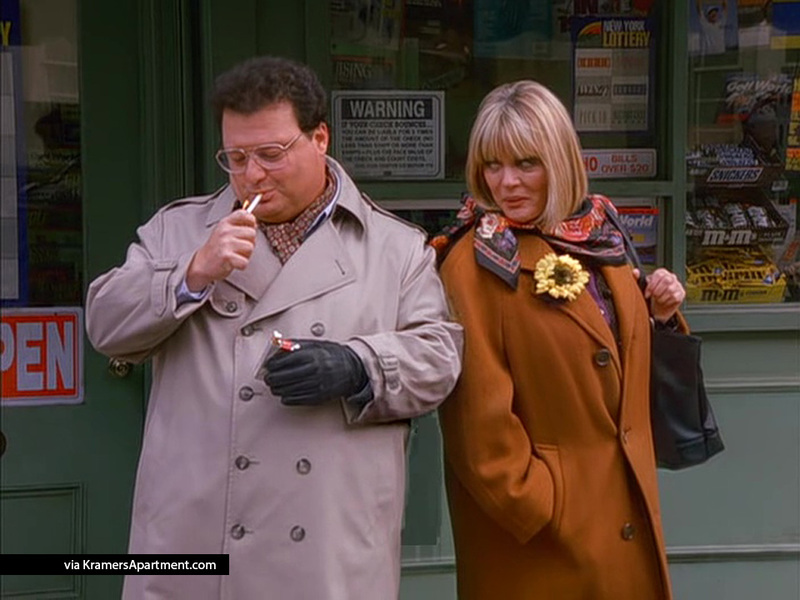 Newman: What makes you think I’m lookin’ for trouble? Babs: From what I hear you postmen don’t have to look too far. 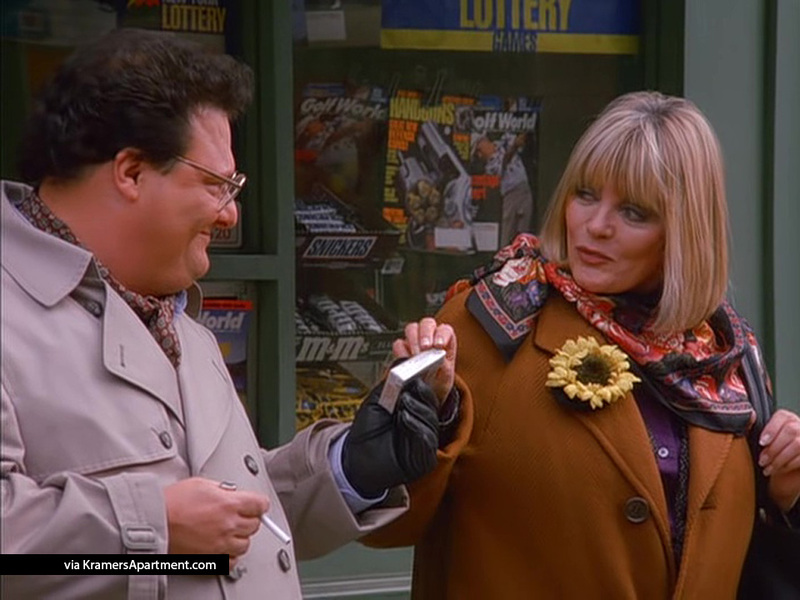 Newman: ha ha ha Well you know sometimes it just has a way of finding you. Cigarette? Babs: Don’t mind if I do. Newman: We din, we didn’t … … Cosmo?